Members practice hamstring rescue first. We continue our mindfulness based yoga series with the third letter of Jack Kornfield’s acronym RAIN. The first two weeks we focused on recognition and acceptance. Today we bring awareness to Investigation. Through our yoga practice we can awaken to our True Selves. We can discover new ways to approach the challenges of our lives while deepening the wisdom and joy we experience as well. Through our dedicated yoga practice we can awaken to our best spiritual and human capabilities. Investigation allows us to see deeply. Through our yoga practice we explore our physical sensations in our body, our emotions, our energy and the thought patterns that surface in our yoga practice. Our physical experience offer the perfect opportunity to bring awareness and loving kindness to what is happening in our body. 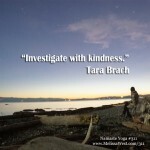 We can explore the sensations and limitations of our physical experience with kindness and acceptance. In response to our physical practice, emotions will arise. They can be pleasant, unpleasant and neutral. Through our physical practice we learn that we tend to hang on for dear life to that which is pleasant, contract and avoid unpleasant emotions and disengage or zone out when our experience is neutral. 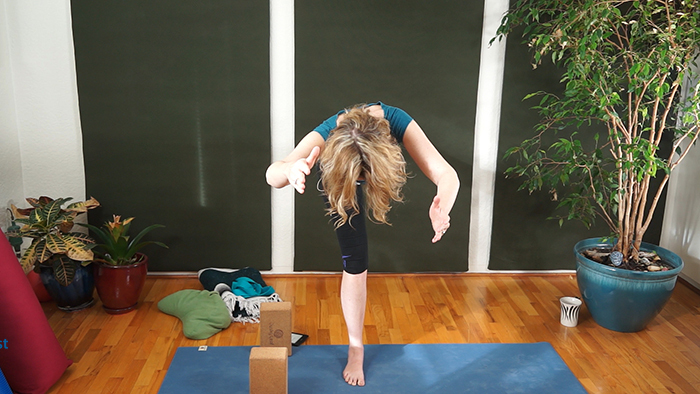 Our practice as yogis is to stay present to whatever our emotional landscape. Likewise during our physical practice thought patterns will surface. They too are the perfect training ground to question the stories we have associated with certain physical experiences. What judgements and beliefs arise in response to physical stimulus? Are they habitual or are they are true reflection of your present moment experience? Today’s question to answer in the comments is: What are you bringing kind investigation to is it part of your physical sensations, your emotional landscape or thought patterns? We went into detail on the teachings of the first three letters in RAIN, recognition, acceptance, integration and non-identification today. If you would like a beautiful infographic, with some quick reminders about each part of rain enter your email address below and I’ll send it to you.